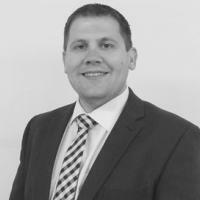 Greg’s career dates back to 1996 which started in retail, where he enjoyed a very successful career in some of the UK’s largest retailers, rising through the ranks to become head of a UK wide IT service and installation team for one of the largest furniture retailers in Europe. Whilst holding the position of head of the UK support team he saved the company 25% PA on the net IT installation spend by streamlining existing practices. In 2007 he took the bold and unprecedented step of starting an IT support company which has supported and continues to support some of the largest commercial companies in the UK today. In 2012 he reassessed his options, sold his stake in the IT support company he’d founded and realised a long held ambition by joining the family business and becoming a mortgage consultant where he expanded his existing skill set with relevant financial services qualifications. He also holds qualifications in IT support and services. In his spare time, Greg enjoys spending time with his family and watching his beloved Chelsea.